One of the biggest mistakes I see church planters make is putting elders in place too soon. 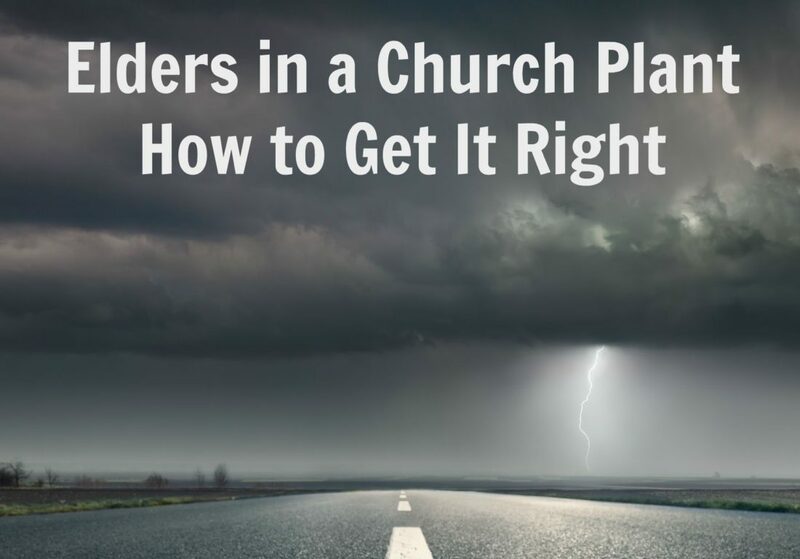 Nothing blows up church plants as quickly as leadership conflicts. Attempting to get to a plurality of elders quickly is a train-wreck in the making. It’s easy to make a person an elder. But once you have given that person the title and role, it is painful and difficult to remove them if something goes wrong. I get it. You read Strauch’s Book. You believe in a plurality of elders. But if you rush to get to a plurality of elders you will quite possibly destroy your church. I recommend not installing internal elders for five years after the church is planted. You read that right – five years. I have repeatedly seen people hide out in churches for long periods of time, become elders, and then wreck those churches. There is one exception to my recommendation – When you are planting with a couple of other people who you have known for ten or more years. (This does not include your seminary buddies.) I know of several sets of brothers who have planted churches together. When you have known a person your entire life, you are likely not headed toward a leadership blowup. If you don’t put elders in place for five years, what should you do instead? Ask 2-3 other people to serve as your advisory team for one year. Having an ending point is important. After one year, you will move to the next stage of the advisory team. Your advisory team does not have to be local. You just need 2-3 people who are willing to serve. Meet with your advisory team approximately every six-eight weeks. The advisory team is not a puppet team, but a real team that will meet approximately six times per year. You do not want any person on this team who wants to micromanage you or tell you what to do. After the one-year commitment is over, thank the team, and decide who you want on the team for the next year. Repeat the process for five years until you have had the time to raise up local elders. From the beginning, explain to the church that you believe in a plurality of elders, but that you’re going to take five years to get there. Make sure that everyone knows this. You are going to be tempted to put a person in place as an elder because he is older, seasoned, and was an elder in another church. Don’t do it! This usually ends in disaster. Just because a person was an elder in another church, is older, or used to be a pastor, does not mean he should be an elder in your church. Follow my advice above and wait five years before any person becomes an elder. Give priority to those that you have locally trained and raised up. Train leaders from day one without promising them anything. In doing this, you will be continuously training the future leaders of your church. Here is how to do it. In time, it will become clear who God has raised up to be elders. The best way to establish plurality in a church plant is to develop leaders who will serve as elders. Plurality is good. But take your time. If you found this post helpful, please share it below!